In the spirit of this issue we are looking at flying across our country, and there’s no better way to highlight the differences and similarities than with our two newest states, Alaska and Hawaii. Both present breathtaking vistas, but come with potentially deadly challenges. 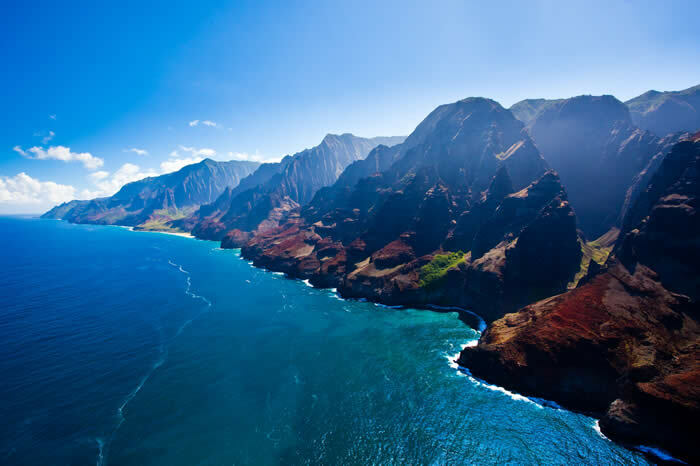 Hawaii offers magnificent scenery and a landscape that makes the archipelago very scenic for traveling by air. You could be forgiven for thinking its tropical climate means you have no worries about flying during your visit to the islands. FAA Safety Team (FAASTeam) Program Manager Scott Allen explains, “Hawaiian flying goes from sea level to 13,796 feet mean sea level.” He continues, “A landing at Kalaupapa Peninsula [site of the lifework of Father/Saint Damien, famous for his work with leprosy patients] on the island of Molokai occasionally ‘blesses’ its visitors with spray from breaking waves ... sans floats, it just doesn’t get much more sea-level than that.” But as an island chain that is made of volcanos, a strong background in mountain flying is required. Alaska is similar to Hawaii in that it offers amazing views and a wide variety of terrain. 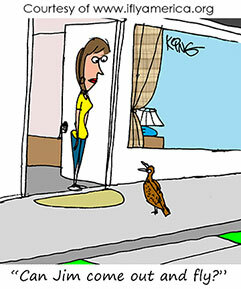 Another similarity is its dependence on the airplane as a primary mode of transportation; more so than in the lower 48. The difference, though, is that the barrier to other forms of transportation is the vast distance and rugged terrain rather than the Pacific Ocean — although there’s plenty of that too. Alaska also can feature rapidly changing weather so a good briefing and some local knowledge are very important. “One of the things most visiting pilots don’t know about is the Alaska Weather Camera program,” explains Mike Yorke, FAASTeam Program Manager for Anchorage. “The cameras allow pilots and briefers to get a first-hand look at exactly what the weather is doing at many airports and mountain passes. It’s a really great resource and I’m always surprised how many pilots aren’t aware of it,” Yorke continues. You can see the camera feeds at: http://avcams.faa.gov. 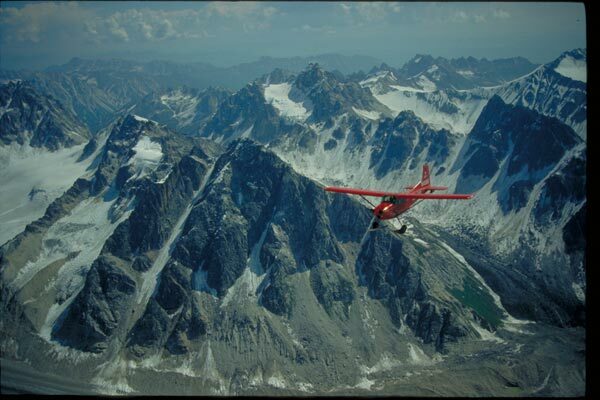 Flightseeing plane over the Alaska Range; Mt. McKinley. Another thing to consider is having a beefier flight plan and taking into account where your alternates might be. Rugged terrain and the great distance between airports places a huge premium on getting the flight plan calculations right and giving yourself plenty of reserve fuel because the nearest alternate is probably more than a “short hop” away. It goes without saying that some mountain flying practice is also in order. One thing that spans both of our “frontier states” is the need for a good local checkout. Hands-on experience from someone who is knowledgeable of the local area and condition can be invaluable. One way to really get the most from this learning opportunity is to ask the FBO or CFI to go beyond the basic checkout requirements.